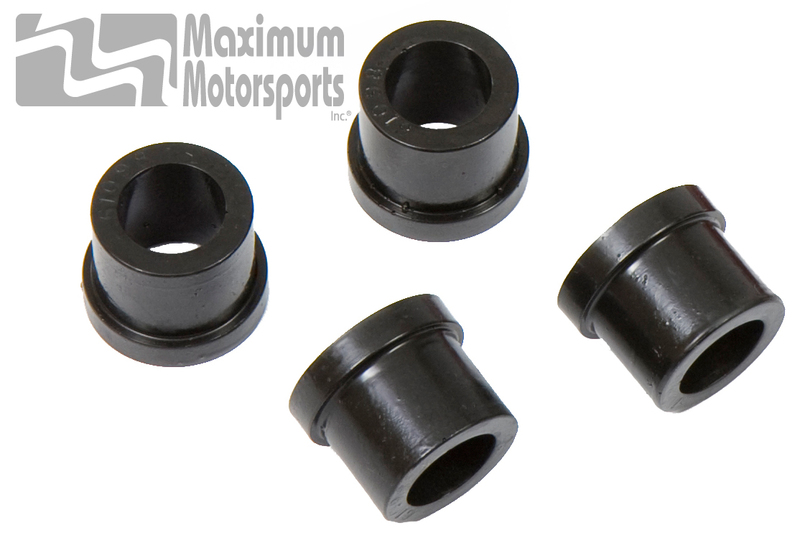 Improves steering response by reducing the deflection allowed by the stock rubber bushings. Greater longevity. Will not degrade as rubber does when exposed to oil and road grime. Center-drilled (not offset) mounting holes maintain best bumpsteer geometry for Mustangs with the stock k-member. Fits both power and manual steering racks. Does not fit MM K-members; Use MMST-6. Fits stock k-members (built 1979-9/84 that have 16MM rack mounting bolts), and many aftermarket k-members. Click on the button below for more technical information about steering rack bushings. Why are offset rack bushings a bad idea? Although sold by many as a supposed cure for bumpsteer, installing offset steering rack bushings on a stock K-member will make an acceptable situation far worse than if you had done nothing at all. How do we know this? Because we tested it. We measured the bumpsteer, both with and without offset rack bushings. Our test results were first published in the July 1993 issue of Super Ford magazine.